Naija diva Yemi Alade is currently the most streamed Nigerian female artiste on YouTube ever, so it is not shocking that the “King of Queens” is creating music videos for all the tracks housed on her debut LP. The video for her pan African hit “Pose” which features Ghana’s top duo R2Bees was reportedly shot in three days. The singer has released the first behind-the-scenes still from the set on her Facebook page with the hash-tag #WithStrongGirls. The fierce image features Yemi Alade and a number of black girls striking a strong pose, promoting the #?PovertyIsSexist? campaign by ONE. 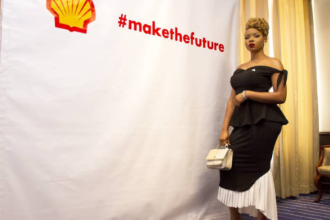 Yemi Alade was selected to be one of the female African celebrites to empower African girls to counter gender inequality and poverty in Africa.